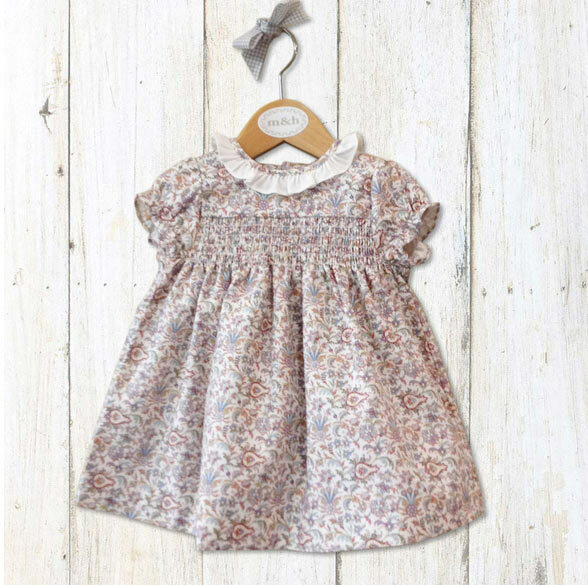 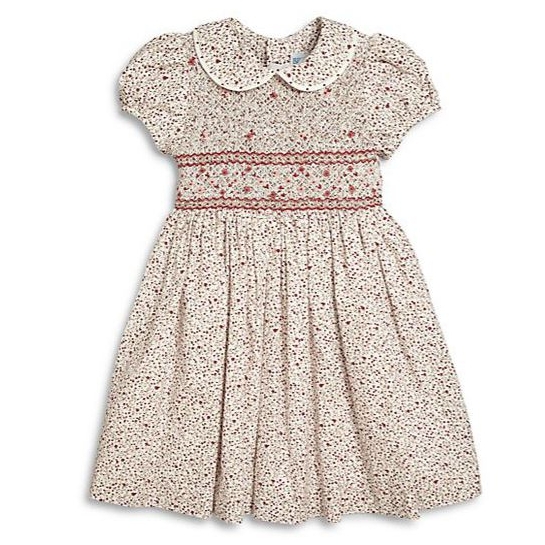 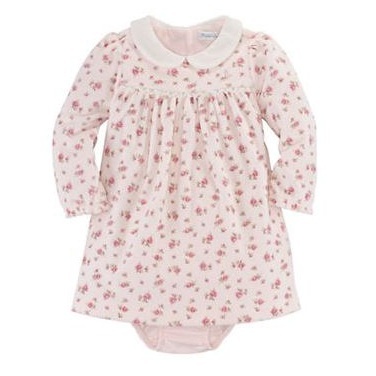 This ditsy floral dress with a white frilly collar is from the AW15 collection of m&h – a Spanish brand that specialises in hand-made baby and children's clothing. 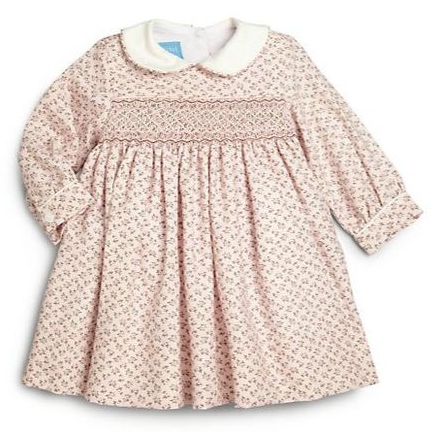 The fabric is also Spanish made and the company only produces a few pieces of each item, so Charlotte's dress is almost one-of-a-kind. 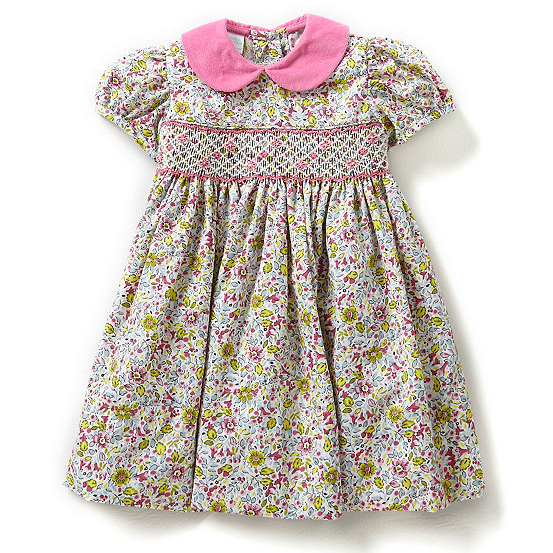 The handmade dress is reportedly a gift from the nanny, Maria Borrallo.